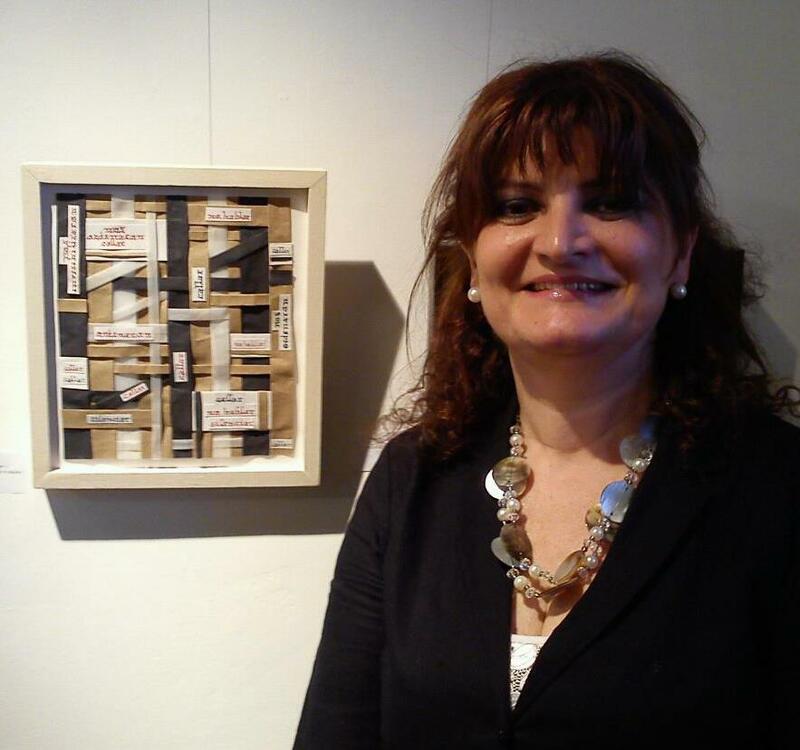 Miriam Midley is a textile artist with a respectable list of exhibitions in her native country of Argentina as well as Brazil, an online exhibition (The Volta-Women of the Visual Art, Coldfront Magazine-Vispo), and she is currently in UTSANGA: A collective asemic writing show at Roccelletta di Borgia’s Parco Archeologico Scolacium, Italy from December 2nd, 2016 to May 2nd, 2017. 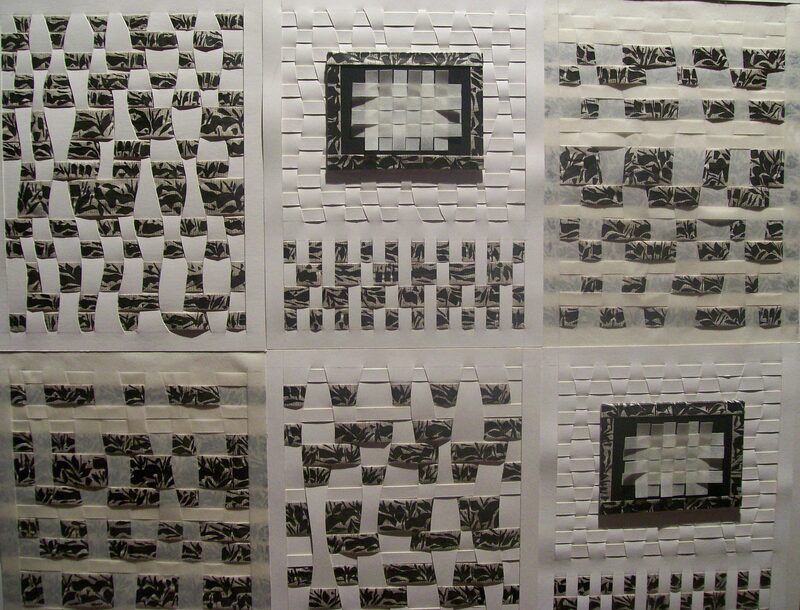 Miriam’s work concept derives from the Latin word, TEXERE: A weave we use to construct history. Thus, with each turn over, the weaver constructs her own history and her own culture. Also, it is noted that words materialize in the writing being woven, over and over, to transform ideas into a system of communication. 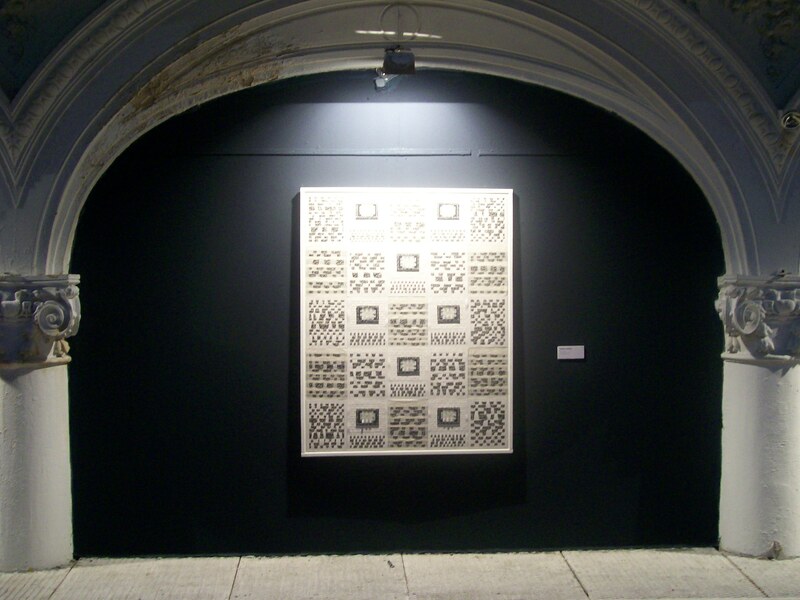 The piece was made with paper and ink, and measures 145 X 115 cm divide into modules of 22 X 28 cm each, mounted on a wooden frame. 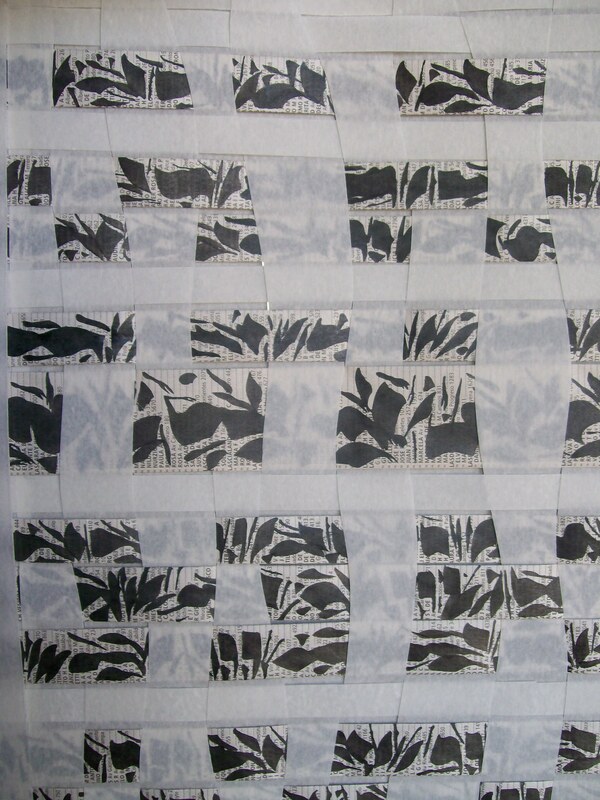 Each module is woven and has its own writing, which Miriam has named, “Calligraphic Gestures“. Her writing has no semantic sense, nor does it belong to any particular language. 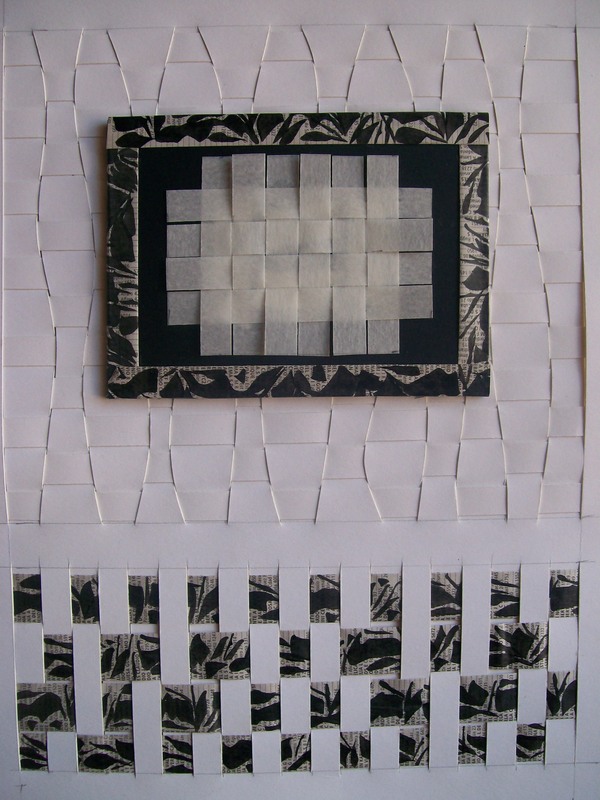 Texere follows the idea of joining weaving with writing in order to make us delve into the Memory of our tongue.